Dedicated activist and good friend of Seeds of Peace, Glen Collins, is in Smith County Jail in Texas tonight after pleading guilty to charges of trespassing and illegal dumping stemming from his blockade of the Keystone XL pipeline last December. 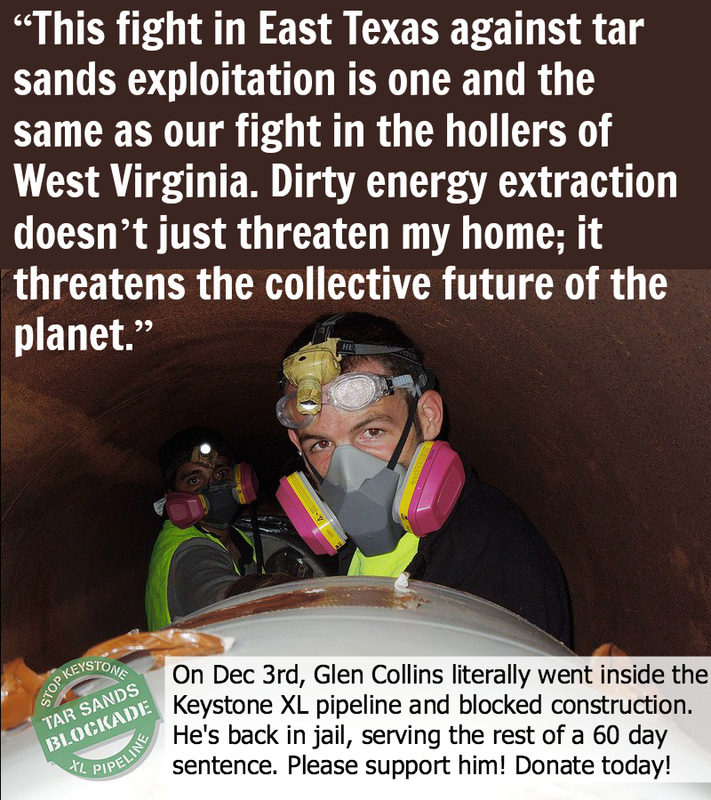 In one of the most striking actions in the Tar Sands Blockade campaign, Glen locked himself with Matt Almonte to a concrete barrel inside the KXL pipeline. 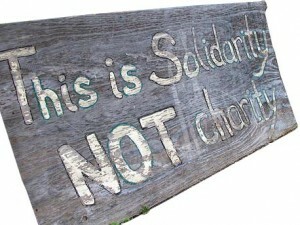 He was sentenced to 60 days in jail – the longest sentence of the three activists arrested that day. We are currently waiting to find out how the 3 weeks Glen spent in jail following his action will be counted against his sentence. Due to the overwhelming weirdness of the Texas legal system, it’s uncertain how much time he has left to serve. Glen has checked in from jail and is doing fine as far as jail goes. We are supporting him in every way we can from up here in WV. To help support Glen, please donate to the RAMPS general fund which we are using to pay for collect calls from jail, commissary and sending him books to help pass the time.